Puberty no matter when it occurs brings its own set of issues and difficulties. And while every parent laments that their little boy or girl is growing up too fast there has been a distressing trend in recent years for puberty to occur much earlier than it has in the past. It is not uncommon today to find girls as young as 10 years of age, or younger beginning their menstrual cycles. This so-called precocious puberty seems to be a growing trend not only in the UK but also worldwide. In fact doctors now consider the average age worldwide for the bringing on puberty as 8 years old. Early onset or precocious puberty has been reported in girls as young as five years old. Right now it is estimated that in Britain, the US and Australia 1 in every 6 girls will have to deal with the physical and emotional stress of precocious puberty. That is compared to 1 in100 a generation ago. The phenomenon is not restricted to the developed world nor does it effect only girls. According to the Archives of Pediatric and Adolescent Medicine, boys to in the UK are experiencing this phenomenon, and 1 out of every 14 boys is showing signs of secondary sexual characteristics at the age of 8, such as pubic hair growth. That compares to 1 in150 a generation ago. This phenomenon of children becoming teens before their time has been a developing trend. Over the past few years the age at which girls get their first period has been getting steadily younger and younger. It was not so long ago that the average age for first menstrual period was around 15. Today the average age is 12, and for many girls it is much younger. More that 50% of the girls in the UK begin menstruating at 10. Physicians say that they see girls arriving at health clinics and hospitals every day between the ages of 5 – 10 years of age with developing breasts and pubic hair. Is Precocious Puberty a Problem? The medical journals may say that today it is normal for a girl to begin her period at 8 years old. Many parents would beg to differ. Today our society continually sexualizes children in adverts and on TV. It is hard enough to keep a young daughter from emulating the revealing fashions and dance styles of the latest female teenybopper. It can be a daily battle just to keep young girls from prancing around in a miniskirt and bare belly – an 8 year old with breasts can be a parents worst nightmare. Even if a girl at that age has not begun to menstruate, the other signs of early onset of puberty such as developing breasts and pubic her can be extremely traumatic for young children and their parents. The development of secondary sexual characteristics marks a time of profound change in a young girl’s or for that matter, a young boy’s life. These kids are barely beyond playing with dollhouses and toy trucks, when they have the idea of sexual maturity thrust upon them. There is a growing group of scientists and medical professionals that do see this increasing trend towards earlier and earlier onset of puberty as public health problem. 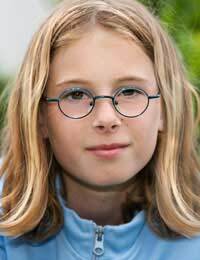 Besides the idea that 8 –10 year old girls are not ready to deal with the emotional and physical ramifications of the hormonal changes brought on by puberty, there are many reasons for the public to be concerned. Study after study has shown that girls who reach puberty early tend to become sexually active early, and have a far greater risk of pregnancy and acquiring a sexually transmitted disease. They also run a greater risk of depression and suicide. Early pubescent girls have lower IQ’s, and a greater tendency to drop out of school, smoke and do drugs. Beyond that there is clinical evidence of the link between early onset of puberty and Breast Cancer. Boys who experience precocious puberty, are more aggressive, far more likely to be convicted of violent crimes, report a higher incidence of learning disabilities and drug and alcohol abuse. Why is this Happening to Our Kids? There are many theories as to what is causing this trend of kids developing before their time. There seems to be a growing consensus among some researchers that is has a lot to do with the foods we eat and the air we breathe. Fast foods and other fatty foods are not only known to increase the risk factors for heart disease and some cancers, they could be contributing to the growing trend towards early puberty as well. Precocious Puberty among kids may not yet be considered epidemic, but obesity certainly can be. And obesity may be a contributing factor. Leptin is a protein that helps to stimulate the development of breast tissue during puberty. Leptin is produced in fat cells. The more fat cells the more Leptin that is produced in a young girls body. Some scientists believe that the increased Leptin can lead to early breast development. Another theory is the silent invasion of chemicals all around us. In our homes, the foods we eat, the air we breathe the carpets and playgrounds our kids play on. Chemicals like PCB’s (polychlorinated biphenyls) are every where. These chemicals are known to have the ability to disrupt hormone production and disrupt the endocrine system. Another group of chemicals that has been pointed to for their known ability to interfere with endocrine production are called Phthalates. They are an extraordinarily common industrial chemical that is used in almost all plastics to give it strength and flexibility. There is scarcely a product that our children and pregnant and lactating women come in contact with that does not contain Phthalates. Other theories include soy infant formula and increased use of other soy products, and hormones infiltrating the food supply. No matter what is causing precocious puberty all medical professionals must admit that it is real phenomena, and the numbers of kids experiencing it are likely to increase. What Can be Done About Precocious Puberty? There are drugs available that can be administered by your physician that can slow or reverse the effects of early onset of puberty. However these are powerful drugs that are designed to “turn-off” the endocrine system, and are not themselves without serious side- effects. Be sure you understand all the ramifications of any drug prescribed for arresting precocious puberty before you decide to give it to your child. It has been also been suggested that parents can try to avoid the onset of precocious puberty by limiting the exposure of your children to hormones and hormone-like chemicals as much as possible. Avoid Eating Non-organic meats, poultry, fruits, vegetables, and dairy products. Try giving children natural wood toys instead of plastic toys containing Phthalates.